The ability to hand pick the components you want in your smartphone is still a relatively pie-in-the-sky idea, but there's light at the end of the tunnel after Motorola revealed Project Ara. 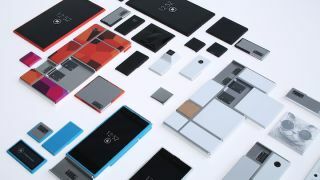 Speaking on the Motorola Blog, Paul Eremenko - who's part of the Project Ara Team - explained "the design for Project Ara consists of what we call an endoskeleton (endo) and modules. "The endo is the structural frame that holds all the modules in place. A module can be anything, from a new application processor to a new display or keyboard, an extra battery, a pulse oximeter - or something not yet thought of!" We saw the PhoneBloks concept pop up last week, but while its creator Dave Hakkens doesn't actually know how to make it work the folks over at Motorola already have some idea. Eremenko revealed that Motorola had been working on the Ara project for over a year now and they've actually met Hakkens who they're working with. Motorola are doing the technical side of things, while Hakkens is creating a community around the project. Motorola will be inviting developers to start creating their own modules for the Ara platform in the coming months, with the alpha version of the dev kit planned for a launch this winter. There's no clear timeframe for when we may see the first working modular handset, but Motorola promises us that "there will be a lot more coming from us in the next few months" - we're intrigued to see where this will go.